Now that winter has set in, we’ve turned our culinary sights from eggplant and courgettes to pumpkin, pumpkin, and pumpkin. I blogged about our excellent pumpkin harvest earlier this year. 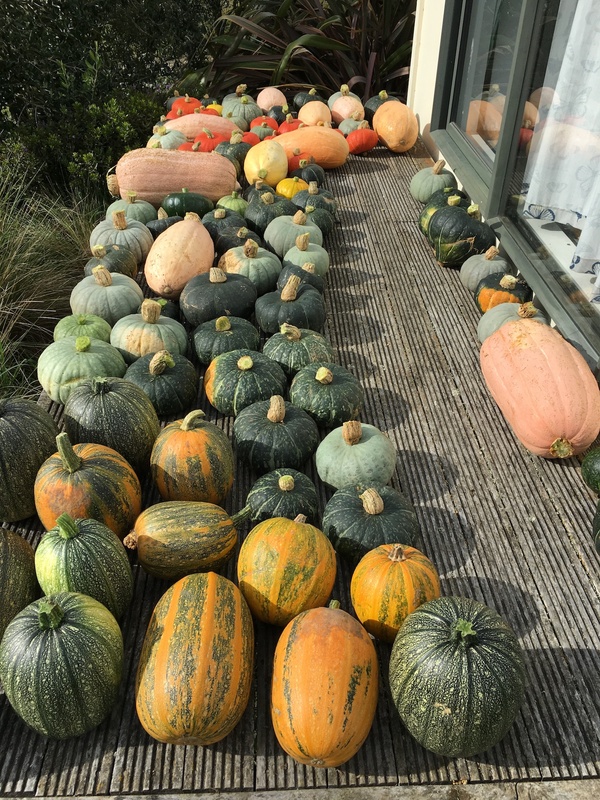 That post was written mid-way through the harvest–ultimately we picked nearly 200 pumpkins and other winter squash. So w’re eating a lot of pumpkin. That’s not a problem. Yesterday I made lovely pumpkin pancakes for breakfast. They were moist, dense, and spicy—excellent with maple syrup or redcurrant jam. To make these delicious pancakes, start with a double batch of my World Famous Pancake Recipe. Add 2 tsp cinnamon and 1/2 tsp cloves to the dry ingredients. Add 1 1/2 cups pureed pumpkin (or other winter squash—I used kabocha squash) to the wet ingredients. If your pumpkin is dry, you may need to increase the milk to achieve the right batter consistency. We found these pancakes didn’t store/reheat as well as regular pancakes—they became quite fragile upon reheating (though they were still delicious).